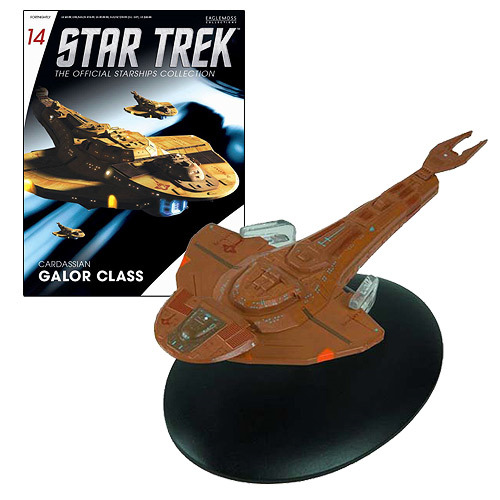 The Star Trek Starships Cardassian Galor-Class Starship with Collector Magazine recreates the Galor-class cruiser used as the primary class of warship by the Cardassian military during the latter half of the 24th century. Every ship has been painstakingly recreated in die-cast and high-quality plastic materials then hand-painted with an incredible level of detail. The die-cast Star Trek Starships Galor Vehicle even includes a collector magazine that provides a detailed background on the ship!